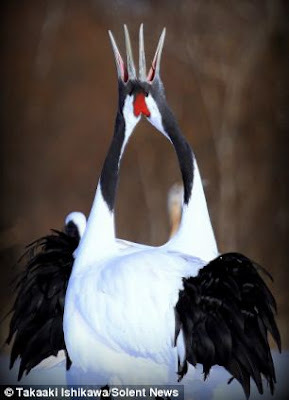 These beautiful cranes prove that two heads are better than one with this graceful courtship dance. 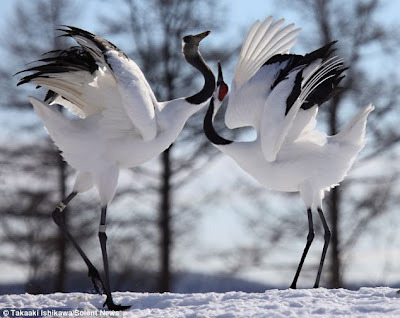 The long-legged lovers kept warm in sub-zero temperatures by performing the coy ballet-like routine. They strutted around in the snow and flapped their black wings at each other, then leant their heads back in a touching embrace. 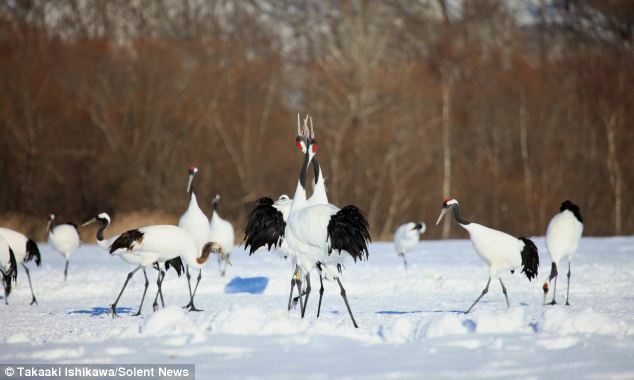 Photographer Takaaki Ishikawa, 55, enjoyed watching the majestic red-crowned cranes' afternoon display. This pair's eye-catching plumage caught his attention in a 50-strong group who had flocked to the spot on the Japanese island of Hokkaido to feed. 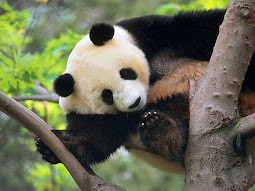 Mr Ishikawa said: 'This final head-touch is one of the gestures of courtship. 'They only attached heads for a few seconds, but there was a warning about 30 seconds before it happened. 'After reaching their necks up and nearly touching beaks, they then went back to the dance of courtship. The birds also made their signature trumpet-like cry as they danced. Mr Ishikawa, who works for a company in Anjo, southern Japan, calls this photo series 'Duet'.